Do you have a Full-Time Job?!? Let’s face it, most of us can’t afford to have full-time travel lifestyles (well, not yet at least) so we have to make do with all the public holidays and long weekends we can get our hands on, in an attempt to satisfy months of built-up wanderlust. I know this all sounds pretty depressing, but by using your short holidays wisely, you could see a number of new countries every year without missing a day of work! 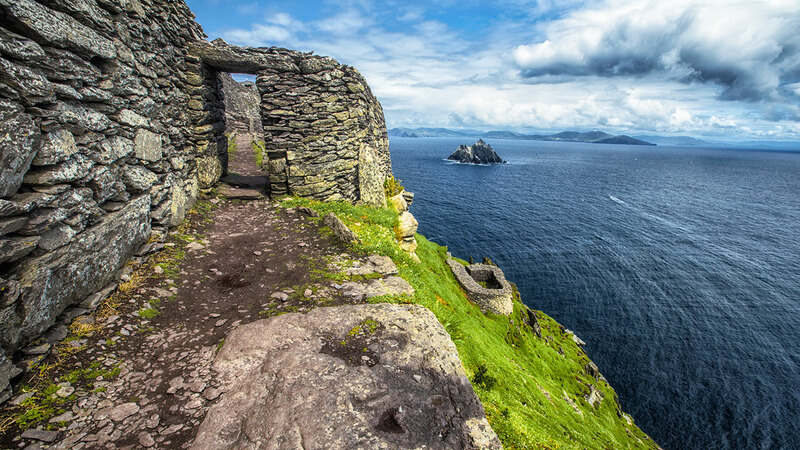 You’re probably thinking that this is slightly far-fetched, but there happens to be just the place to kick-start this crazy idea – IRELAND! 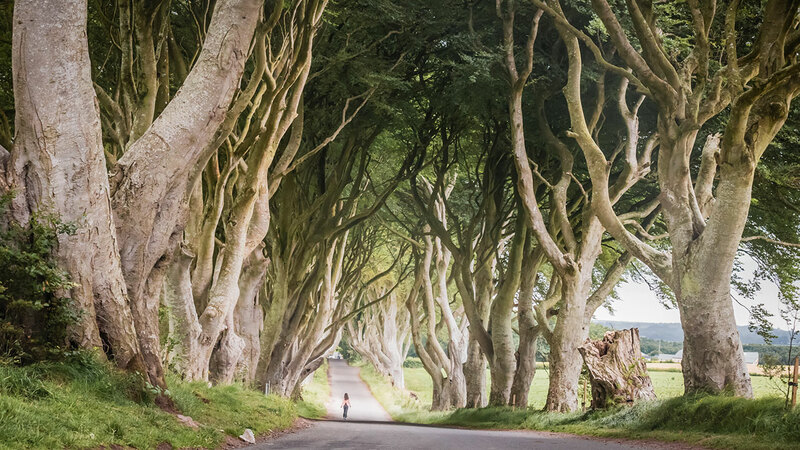 Let StoryTravelers show you the magic of this Emerald Isle, holding three of the worlds’ most exquisite UNESCO World Heritage sites. Book your flight for any evening after work, have a glass of vino on the plane and relax after your long (and most probably stressful) week. When you get to Dublin, take a quick taxi ride to a little authentic Irish B&B and treat yourself to a hearty bowl of traditional slow-cooked beef stew and a good night’s sleep. Get an early start – The world waits for no one! 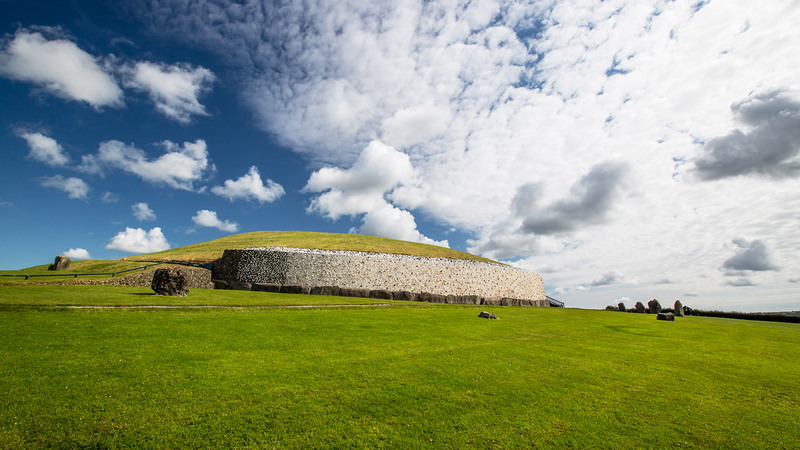 Start by searching for shamrocks at the first UNESCO site, New Grange, just minutes from Dublin, and you’ll be sure to add it to your list of favourites. At first, it may not seem like much, but this ancient structure holds many mysterious secrets linked to the starry heavens above. It’s as old as the pyramids and even older than Stonehenge, filling one’s mind with complete awe and fascination. After a quick lunch on the lush lawns of New Grange, get back on the road and make your way to your next adventure. 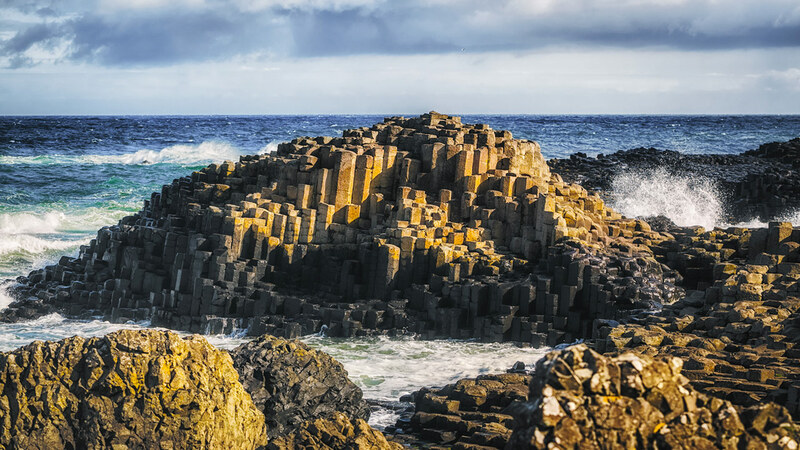 Giants, castles and rugged coastlines outline the North, holding ancient myths and tales within their very geology. 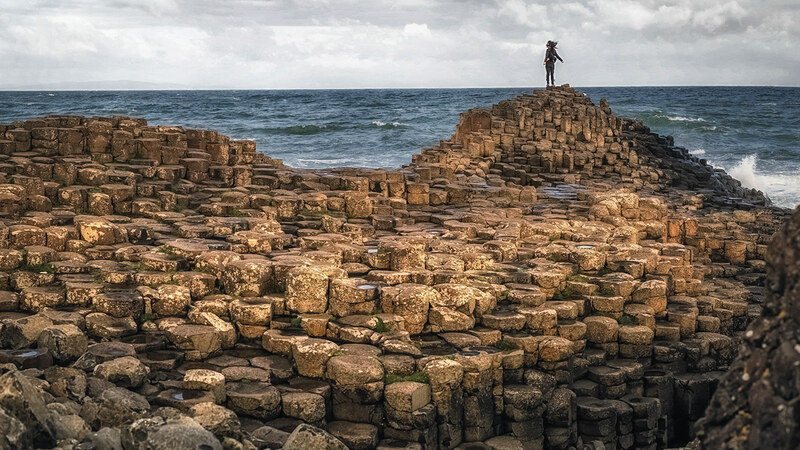 Make this your first stop and you’ll be entering a real-life novel that can make even the most scientific mind begin to believe in leprechauns. Let your bare feet skip across the unique, perfect rock formations one minute and these same rocks will be towering above your head the next. 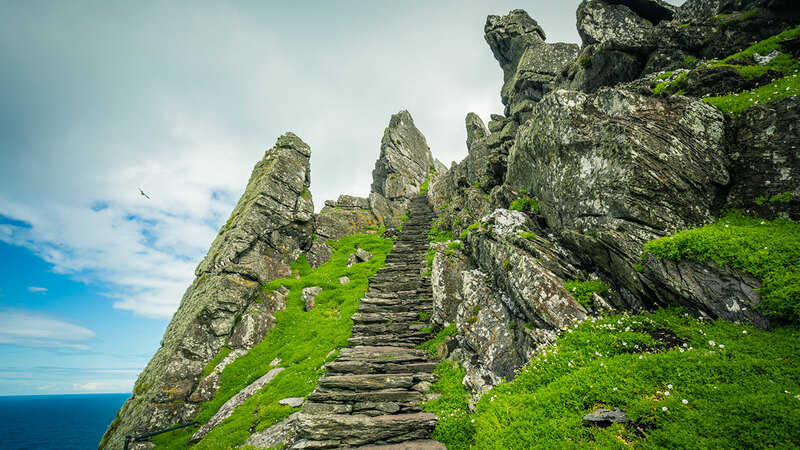 Book a night’s accommodation at the Giants Causeway hotel and watch the sun rise over the sea the next morning – then make your way to Skellig Michael. You’ll need to set aside one day for this journey, but you can be assured that the impressive countryside along with the destination will be well worth it! 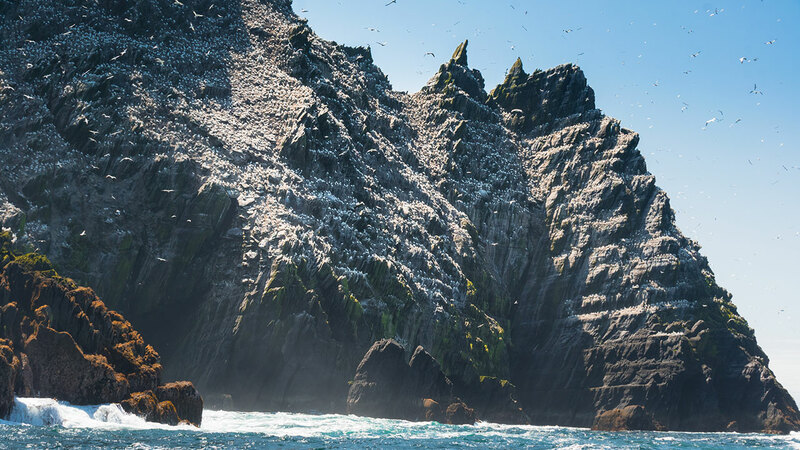 Last but not least, treat yourself to a trip to the islands that jut out of the sea like sharp crystals – Skellig Michael. The quick boat ride needed to reach them is an experience all in itself; with dolphins, seals and whales accompanying you along your way. Once you’ve arrived, climbing the 600 odd steps to the top, the oceans that wrap around the very island you’re standing on will do a good job of taking your breath away. 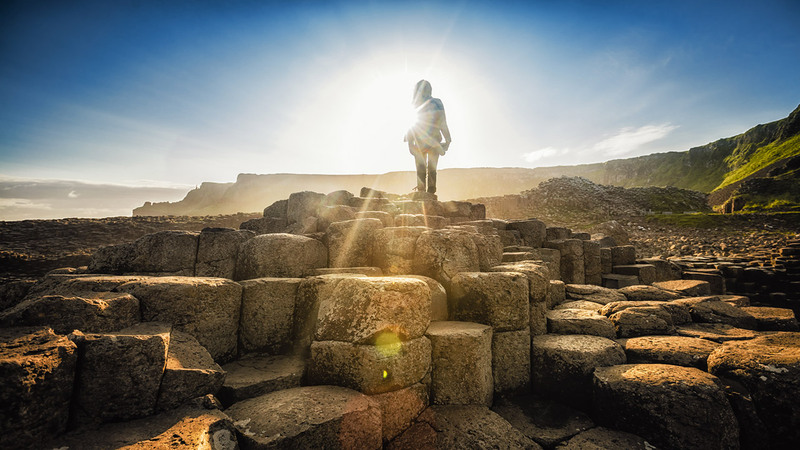 Trust me – This is one spontaneous adventure you will be speaking of for years to come, hopefully with a Guinness in hand, reminiscing about Ireland’s rich cultures and colouring, but mostly about the way it made you feel, adding yet another exceptional memory to the beautiful thing called your life! – Read a book or two on Ireland before you go and watch the stories come to life in front of your eyes. – Make a solo mission – Ireland is very safe for both males and females. – Bed & Breakfasts are a lot more affordable than hotels and cut costs on meals. – Always pack a raincoat in your day pack – The weather can turn at any moment. – Pack a water-proof camera cover. – Hiring a car can often be cheaper than going on a tour.